What goes on your baby’s cute little bum is important. We FINALLY found the diaper of our dreams (I’ll save the best for last on this post). Different diapers work for different people. The opinions in this post are only my own and you may find a different product works better for you. A diaper lasts in a landfill for 500 years. I just read that in a magazine and I nearly had a heart attack. I knew they lasted for a long time, but 500 years? Wow. That is a lot of diapers considering about four million babies are born every year in the U.S. alone (according to Babycenter.com). Those four million babies use on average over 3700 diapers in their lifetime. Do the math. Landfills must just be overflowing with diapers. We really wanted to use cloth diapers for environmental purposes. However, we have also been using disposables. Why? First, until the stump falls off (around 10 days old), you really have to use disposable with a cut out (again, in my opinion). Further to that, cloth diapers just seem so big for a newborn! I haven’t been successful in getting daddy to use them, so they have been used primarily during the day when it is just me here on diaper duty. Even so, I’ve been hoping Anderson will “grow into them” a little better. We received a lot of baby diapers from others when he was born, so I was able to try several kinds: Pampers, Seventh Generation, Earth’s Best, Huggies, and Up & Up (Target brand). Seventh Generation Free & Clear is 100% my favorite. The reason is selfish rather than environmental. At first, I thought they seemed papery and stiff. Once on, however, they are soft and do not irritate my son’s skin like the others. They also fit him the best because he is very long and therefore a skinny little guy with a skinny little bum. When the other size 1 diapers were too big, Seventh Generation newborn still fit even when he passed the weight recommendation. From an environmental standpoint, these–like all disposables–are a bummer. They are not biodegradable. They save the earth from some chemicals, but these also end up in a landfill. It is also important to note here that Pampers are made by Proctor & Gamble, one of the worst culprits in regards to animal testing. Kimberly Clark makes Huggies and this company also tests on animals. Earth’s Best and Seventh Generation both made the Leaping Bunny list. Last, but not least, my favorite diapers. FINALLY! My search is over. I will keep using the cloth diapers I have, especially when A-man is a little bigger, but I have to share these with you. They are called gDiapers. OK let me gush. I grabbed them on a whim while in Whole Foods Market. 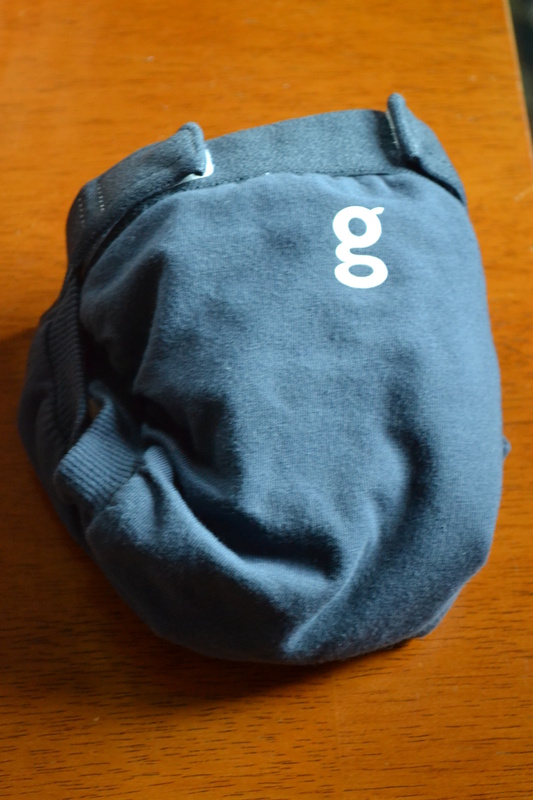 The little outside gPants are sold separately and according to weight. When they need a wash, you throw them in the wash, just as you would a cloth diaper. There are two options: cloth inserts or flushable inserts. I have only used the flushable inserts (but will try out the cloth inserts next). 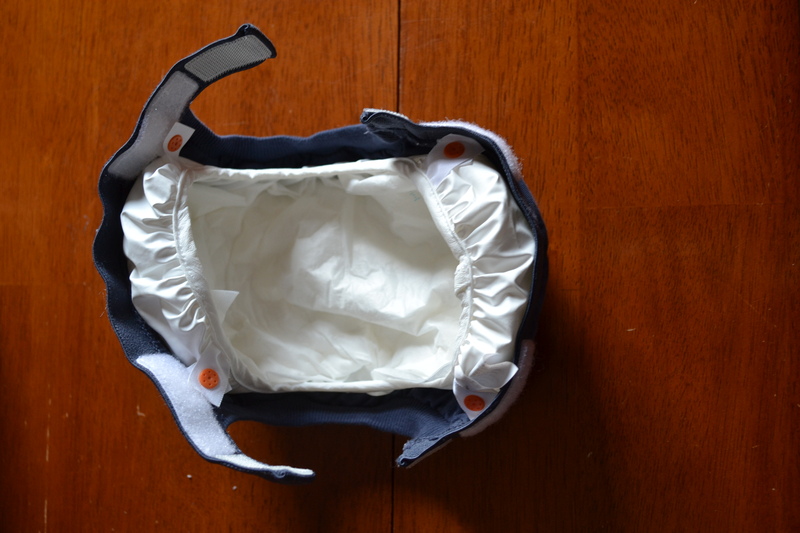 You put the insert in (sooo easy) and put the little pants on baby – voila. That is it. When it is time for a diaper change, you replace the insert. This is the cool part. You take the soiled insert out and flush it. (You have to separate the two parts of the insert prior to flushing — one part dissolves and the other is like toilet paper). 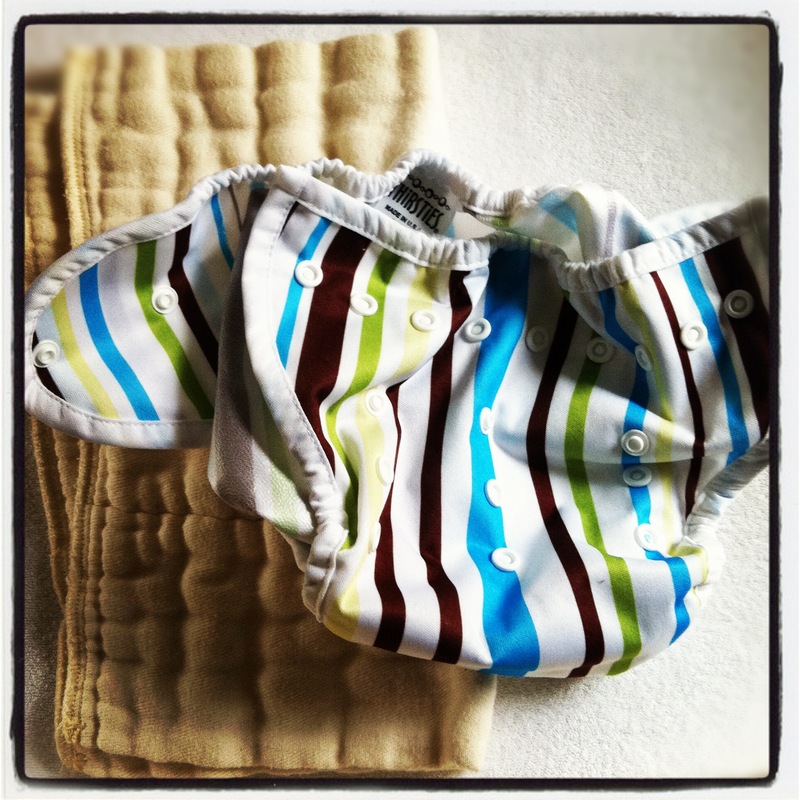 They are not bulky like the all-in-one cloth diapers. They are adorable. 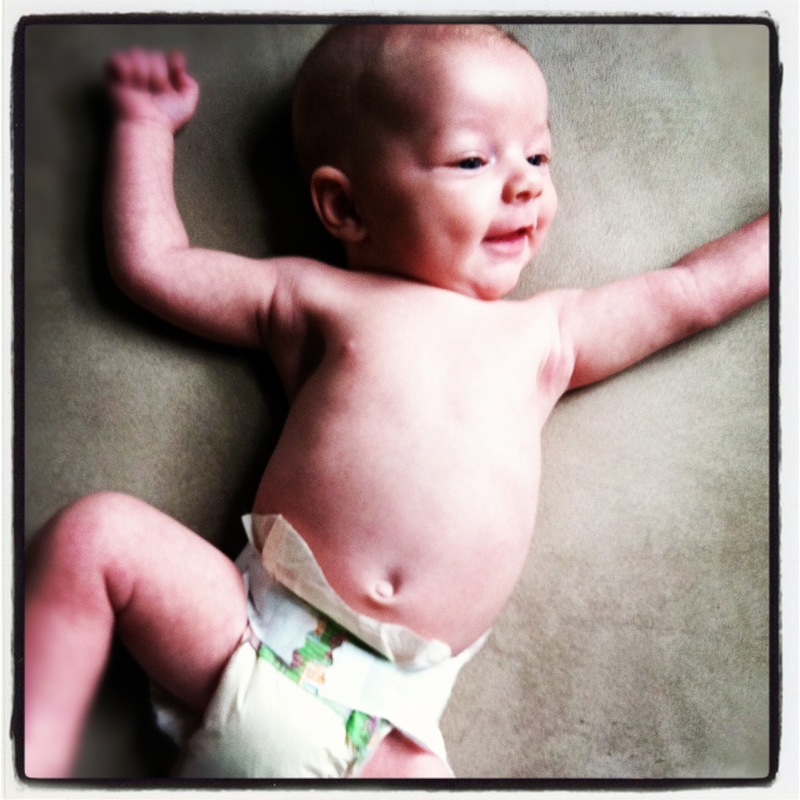 THERE IS NO TRASH GOING INTO A LANDFILL FROM THESE DIAPERS! Amazing. *** UPDATE: Right after this post, we started using the cloth inserts. The flushable inserts are great for traveling, but the cloth inserts are the best. Not only are we sparing the environment, we are saving a ton of moola by not having to buy diapers. One thing to note, the small size goes fairly quickly, but the second size (medium: 13-28 lbs) has lasted for nearly 6 months at the time of writing this update and still going. 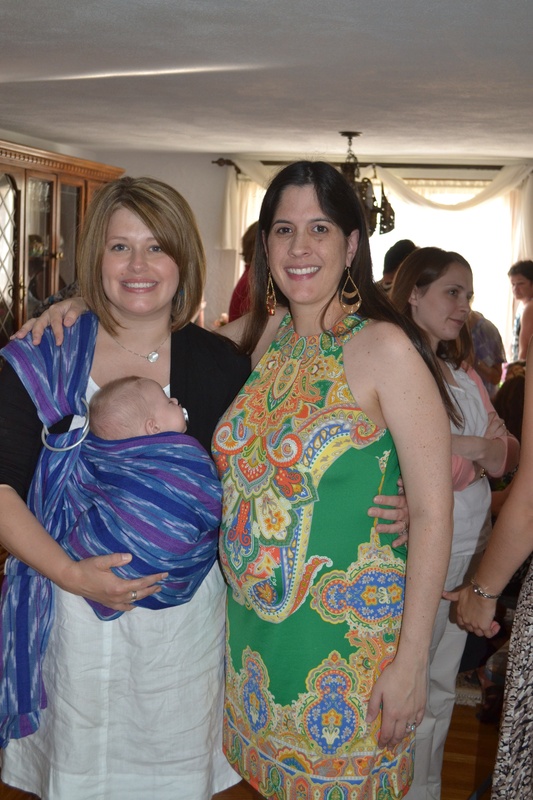 Speaking of baby stuff, we went to a baby shower for my lovely friend, Valerie, on Saturday. We got to dress up for the occasion! 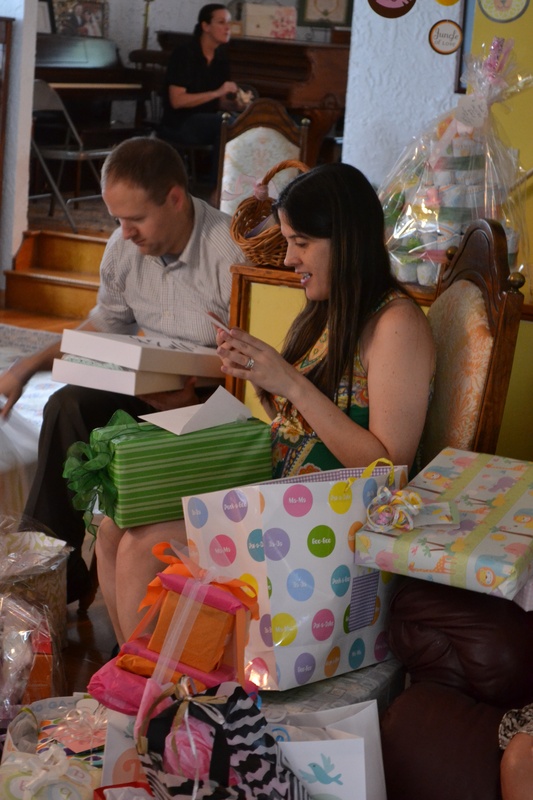 She got lots of very cool stuff for her little girl. It was a happy day. Isn’t she a gorgeous pregnant momma? We’re using “Tiny Tush” and they’ve been great!! I love that the gdiaper’s have flushable inserts, that would’ve been handy on a million occasions! Cloth diapering has evolved so much from when we were young. I wish more people educated themselves!!! Go cloth!! Go cloth!!! I also have a friend that uses Fuzzibunz and loves them. So many to choose from. Leila’s in cloth too! 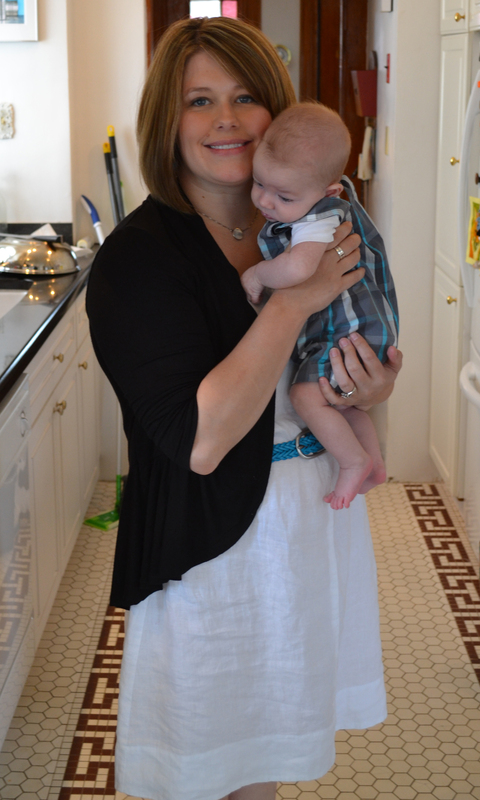 There are so many “pros” to cloth diapering, but as you said the less guilt is the best. We used gDiapers until Leila was about a year. (I think) We used the gCloth mostly, but the disposable inserts were AWESOME for road trips and when we were out of the house. It’s a really nice hybrid diaper that makes cloth much less scary. 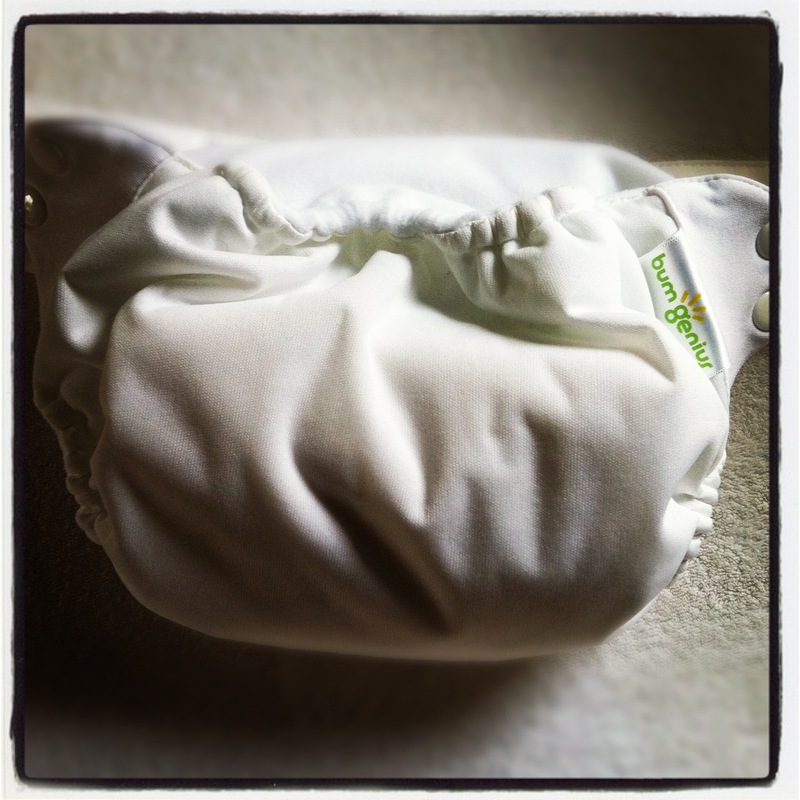 Now we use the Bummis snap covers with organic cotton prefolds. I love them.